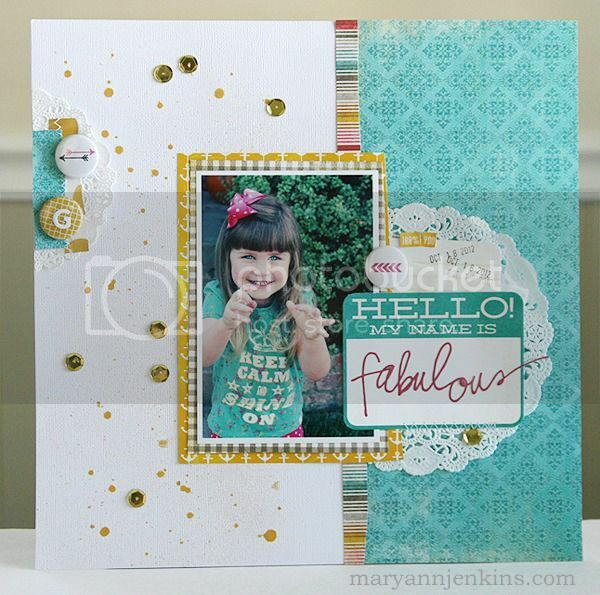 Beautiful layout, Mary Ann- So precious, just look at her stunning eyes! I have been slowly warming up to flair, but I think you have definitely given me a good shove into buying some - looks just amazing on you layout! Cute, cute page! Love the mix of sequins and mist! The "hello my name is.." label is so cute! Fabulous layotu!!! LoLoL!!! No really it is quite spectacular!!! Cute photo! I love her shirt and I love the splatters and sequin combination! Wonderful page! Is that a Heidi Swapp Word? I love her handwritin. Sweet photo! I love your page the sequins are so fun. I also love the name tag. Love it Mary Ann!! Great use of the sequins and the Flair buttons!! 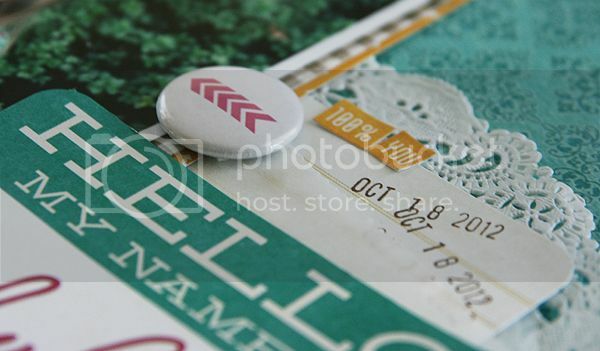 And what a fun idea to use the Jillibean letter sticker on the Flair Button!! She is so cute!! and so is this page!! 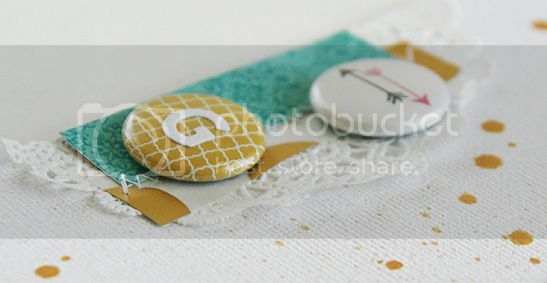 Love the little addition of flairs and splatters....precious! This is SUCH an awesome layout! Beautifully done!